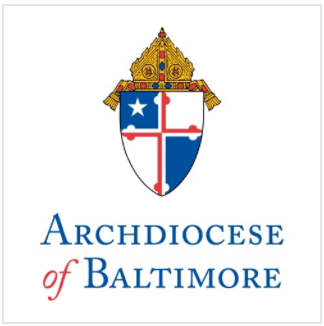 Archbishop Edwin F. O’Brien issued a letter today to Catholic clergy, religious and laity in the Archdiocese of Baltimore encouraging the implementation of a number of safeguards to protect against the spread of Swine Flu in Catholic parishes in the Archdiocese of Baltimore. “We think it prudent to suggest some specific temporary steps that our local Church can take to prevent the further spread of this illness,” the Archbishop wrote. Among the measures he recommended to pastors, whom he trusts to make the final determination on implementation, are the reception of communion in the form of the consecrated host and by hand only (not by cup and not on the tongue), the suspension of physical contact during the sign of peace, and an increased attention to hand-washing and the sterilization of sacred vessels. “It is hoped that these safeguards will help to ensure that our churches do not contribute toward the spread of the Swine Flu and that these measure will only need to be in place for a short time,” the Archbishop wrote. To see the Archbishop’s entire letter and additional resources about influenza and the liturgy, visit www.archbalt.org. Established in 1789, the Archdiocese of Baltimore is the oldest Catholic diocese in the United States and is currently home to 517,679 Catholics worshiping in over 150 parishes in Baltimore City and the following counties: Allegany, Anne Arundel, Baltimore, Carroll, Frederick, Garrett, Harford, Howard, and Washington Counties. The Archdiocese’s 85 schools educate more than 35,000 students.